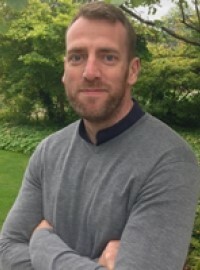 Chemistry Education Research and Practice is delighted to announce the appointment of Michael Seery as our new Editor. Michael takes on the editorship from Keith Taber having served CERP as Associate Editor since 2016. I am really delighted to have been appointed as the new Editor of Chemistry Education Research and Practice. I have long been a fan of the journal, since coming across an article in it at the beginning of my career as a lecturer in chemistry. The discovery that there was a journal dedicated to supporting and promoting best practice in chemistry education was a very pleasant surprise! Since then I have been involved with the journal in various guises, being a member of the advisory board, a guest editor for a special issue on technology in chemistry education, contributing my own articles, and since 2016, being Associate Editor of the journal. The support of the Education Division mean that CERP is free to access and demonstrates the Society’s commitment to supporting the research into, and practice of, chemistry education. As I take on the role of Editor, it prompts thought about the direction of the journal and where my own focus lies. Discussions with the Associate Editors of the journal – Ajda Kahveci and Scott Lewis – led us to consider some particular aspects that we wish to focus on. These motivations grew out of considering the value of the journal to the reader. First, we intend to continue to grow the capacity of CERP in reviewing the state of our field, so as to be a useful point of reference both for those new to the field as well as those who are experts in it. Second, there is an onus on those of us sharing our work to ensure it is conducted and reported to the highest standards, and the journal will continue the work championed by previous editors in expecting and showcasing the very highest quality in education research methods. And third, CERP is unique in the RSC suite of journals as it is a journal with two audiences – those who are experts in the field, publishing education research – and those who are experts in using outcomes of that research in their practice. The journal then has (at least) two categories of reader, and we will continue to develop strategies to ensure value and use to both researcher and practitioner. I have no hesitation in stating that taking on the new role is a daunting prospect. The founding editors of the journal, Stephen Breuer and Georgios Tsaparlis, created something really unique and worked hard to grow the journal to the point that it became included in Thomson Reuters Citation databases. They were succeed by Keith Taber, who has left a long legacy of editorials informing on research methods, and grown the journal substantially in its scope and reach. Keith was also a wonderful mentor to me as Editor, and I have learned an enormous amount from him during my term as Associate Editor. CERP is also extraordinarily fortunate in the reviewers who give their time to us – the quality of their reviewers is something that is often commented upon. Therefore it is with the readers, my editor colleagues, former editors, and reviewers in mind, that I endeavour to work to continue to grow and develop this wonderful journal. I look forward to your submissions! You are invited to submit contributions to the Chemistry Education Research and Practice (CERP) special themed issue on visualisations and representations in chemistry education, scheduled for publication in autumn 2019. As advancements in technology continue to unfold, visualisations and, more broadly, representations in chemistry education have evolved into sophisticated representations that take into consideration experimental and computational findings as well as research on learning. Historically, early studies on visualisations were focused on how viewing pictures or animations of entities at the submicroscopic level affect conceptual understanding of the invisible world of chemistry. Consequently, much research was devoted to the manner in which visualisations could help students connect the particulate nature of matter with macroscopic processes such as laboratory experiments and demonstrations. Educators recognise that visualisations and representations can help students form bridges from the particulate level to the symbolic level associated with equations and graphical or mathematical models. In essence, a primary goal of instructional visualisations is to assist students to develop more expert-like understanding of chemistry. Yet, visualisations have been shown to be limited in their bridging capacity and affordances. Not all students are able to understand what they view or to comprehend the complex processes portrayed through dynamic models. These limitations have led designers to consider how to engage learners cognitively with visualisations through interactive features. For example, simulations allow students to manipulate variables and to observe the consequences of their actions, especially at the submicroscopic level. Studies connected to cognitive load and how complexity and accuracy can best be used to portray the submicroscopic level are also being carried out. Research studies have continued to explore how visualisations in three dimensions compare to those in two dimensions, and how virtual reality and augmented reality can assist learning and understanding of structural and functional entities. In addition, studies are exploring how students make sense of the submicroscopic level through their hand-drawn representations, oral explanations and their ability to reflect metacognitively on their understanding. Furthermore, eye-tracking technology has given researchers the ability to identify where students focus while they view visualisations. This special themed issue intends to illustrate how the design and study of learning from visualisations and representations in chemistry education have progressed. It also intends to offer insight into the implications for our teaching practice. Manuscripts should be submitted in the format required using the ScholarOne online manuscript submission platform. General guidance on whether the theme of a contribution falls within the scope of the journal may be found in a published editorial. Enquiries concerning the suitability of topics of potential contributions for the theme issue should be sent directly by email to one of the theme editors: Resa Kelly (resa.kelly@sjsu.edu) or Sevil Akaygün (sevil.akaygun@boun.edu.tr). Manuscripts should be submitted by Monday 14 January 2019 to be eligible for consideration in the themed issue. All manuscripts will be subject to editorial screening and peer review. Manuscripts received after the deadline may still be considered for the theme issue, but the usual peer review process will not be compromised to reach decisions on publication. If such articles are accepted for publication too late to be included in the theme issue, they will be included in a subsequent issue. As with other CERP contributions, articles intended for the theme issue will be published as advance articles online as soon as they have been set and proofs have been checked, ahead of publication in the theme issue itself. Authors also have the option of accepted manuscript publication, where a pdf of their accepted manuscript is published immediately after acceptance (to be substituted by the professionally set and proofed copy once available). You are invited to submit contributions to the Chemistry Education Research and Practice (CERP) special themed issue on learning progressions and teaching sequences in chemistry education, scheduled for publication in autumn 2018. Students’ learning development has been researched for decades in several traditions, including Didaktiks and teaching experiments, theory of mind and metacognitive development, conceptual change and epistemology, and sociocultural development. Insights from these lines of research have contributed to a surge in the past decade of research on learning progressions and teaching sequences. Learning progressions are generally defined as hypotheses of pathways of learning over an extended period of time (eg years) that can be validated empirically. Teaching sequences are plans for instruction that guide learning through intended pathways. While the entry points of studying learning progressions and teaching sequences may differ, they share the goal of tackling large concepts fundamental to the domain – in our case, in chemistry. They intersect in at least two important ways: it is assumed some learning pathways are better than others, and the assessment of learning is tantamount to validating proposed models. There has also been considerable criticism of research on learning progressions and teaching sequences. Critics have pointed out learning is complex, therefore difficult to reduce to linear, monotonic growth; learning is idiosyncratic, therefore inextricably tied to context; learning is not separable from epistemological beliefs or affects, therefore demands attention to these; and learning depends on instruction, therefore the variety in teachers’ own content knowledge, beliefs about instruction, and assessment stances needs to be taken into account. This themed issue intends to illustrate the bandwidth of research on learning progressions and teaching sequences in the domain of chemistry, varying across educational levels, and focusing on a variety of aspects relevant to these areas of study. Together, the papers can offer perspective on both advantages and pitfalls in the construction of learning pathways in chemistry and approaches to the assessment of learning in chemistry that make possible the validation of models that can advance chemistry education. General guidance on whether the theme of a contribution falls within the scope of the journal may be found in a published editorial. Enquiries concerning the suitability of topics of potential contributions for the theme issue should be sent directly by email to one of the theme editors: Hannah Sevian or Sascha Bernholt. Manuscripts should be submitted by Monday 15 January 2018 to be eligible for consideration in the theme issue. All manuscripts will be subject to editorial screening and peer review. Manuscripts received after the deadline may still be considered for the theme issue, but the usual peer review process will not be compromised to reach decisions on publication. If such articles are accepted for publication too late to be included in the theme issue, they will be included in a subsequent issue. This call for papers is available as a pdf. Employers have long urged universities to equip their graduates with a range of key professional skills and graduate attributes and many universities articulate ‘graduateness’ in terms of graduate attributes and statements. These skills and attributes encompass, for example, critical thinking, problem solving, effective communication, information skills, team work, use of technology, intercultural awareness, lifelong learning, creativity and leadership, amongst others. However, meaningful development of these skills and attributes alongside subject knowledge is challenging and requires a shift in curriculum design and pedagogy. In this special themed issue we will focus on the development of key professional skills and graduate attributes within undergraduate degree programmes. Visit www.rsc.li/AboutCERP for full details. Manuscripts should be submitted by 9 January 2017 for consideration in the theme issue. All manuscripts will be subject to editorial screening and peer review. has no page or submission charges for authors. For a long time language and science in general were two distinct domains that were seen as opposite to each other. However, the importance of language connected to science education in general and chemistry in particular is well known, especially when we are discussing the teaching and learning of the language(s) of chemistry or the linguistic heterogeneity of students. In this special themed issue we will focus on the learning and teaching of chemistry considering the role of language. Manuscripts should be submitted by 11 January 2016 for consideration in the theme issue. All manuscripts will be subject to editorial screening and peer review. or new to the area – save the date! Pedagogical research in Higher Education (HE) science education in the USA is much better funded than it is in the UK. As a result, there appears to be a greater range of high quality pedagogical research in HE in the USA, yet contact and collaboration between researchers there and the UK is limited. To help address this situation and to work towards raising the profile of research in this area in the UK, an initiative from the Education Division of the Royal Society of Chemistry offers you a chance to widen your contacts and explore the research in the USA. The RSC has up to 6 bursaries of £1500 per applicant are available to cover the cost of travel, accommodation and registration of attending a major conference in the USA. In 2014 bursary winners attended the Biennial Conference on Chemical Education at Grand Valley State University in August, http://www.bcce2014.org. What an amazing opportunity it was to attend BCCE 2014! I learnt a lot from the sessions I attended, which I plan to take back and introduce into my teaching and share new ideas with my colleagues. It was a great learning curve and has given me the opportunity to gain many new ideas and have a better understanding of pedagogic research. I made two company links regarding software and have been in touch since I returned home. It was a super chance to network internationally and I appreciate being able to make the new links I did. Thanks very much to the HE division at the RSC for the award of this RSC Education Activating Research bursary. The closing date for 2015 applications is 23 February. There is not much time left! you can find Application forms and more information at www.rsc.org/Membership/Networking/InterestGroups/EducationDivision/Sponsorship.asp. I have received the following message from one of our founder editors, Stephen Breuer, which I pass on to you all. University Chemistry Education, which became part of ‘new’ CERP.